Plastic Model Kit by Moebius. This is the Stoned Hoods & Crooks By Von Franco. tlc 1/24/14. away from children 3 years of age and younger. Hobby knife (RMXR6909). Includes everything in photos. It is LIKE NEW and has been assembled., or look pretty good just as they are. A unique collector's item indeed- from Hobbylink Japan. No exceptions! These types of requests will be ignored. If it's not in the photo, it probably isn't included. 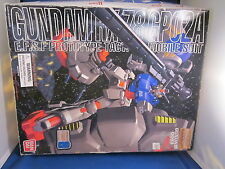 From the Gundam Series by Bandai. One plastic model. tlc 11/13/18. Instructions written in Japanese. keep away from children 3 years of age and younger. Hobby knife (RMXR6909). Bandai Gundam 1/100 Gundam F91 (Ver 2.0) Gundam F91 MG. Bandai Gundam 1/144 #2 MS-06S Char s Zaku II Gundam RG. from the Gundam Series by Bandai. 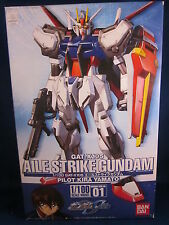 Bandai Gundam 1/144 #20 Gundam 00 Sky HWS Buil. 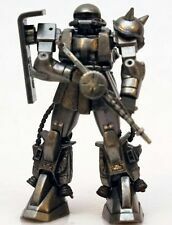 Bandai Gundam 1/144 #222 Gustav Karl UC Ver Gu. This is the Obsidian Fury Pacific Rim. from the Gundam Series by Bandai. tlc 11/13/18. Instructions written in Japanese. keep away from children 3 years of age and younger. Hobby knife (RMXR6909). "Subarashii! Kidrobot pilots its own robot. This is the new little chogokin nano Zaku MS-06R-1A. It includes different sets of hands for holding different weapons. This Chogokin Zaku is designed to have a great angle of articulation ! You can make a lot of poses because of its great flexibility. Like us At Facebook: Retro Video Games Store or Central Florida Otaku Society Hasegawa School Vaulting Box Condition: New Shipping: Free World Wide shipping available. Pay pal only payment. Any question please send email, I'll answer ASAP. 30 day returns.